With spring finally trying to peek through, we have under two months until the end of the school year and the beginning of summer vacation. These months will be packed full of learning, exploration, and special events. As we enter the final stage of the year, I want to take the opportunity to remind families of the importance of attendance and arriving on time. Regular class attendance is essential to the learning process. As late arrivals disrupt the flow of the class and may impact the student’s learning, we strongly encourage students to arrive on time each day. It is important for students to maintain a regular routine and to be present at school in order to learn and share with their teachers and peers. The Academy strongly discourages non-essential absences. If at all possible, family trips should be scheduled during school vacations. As noted in the Middle School Student Handbook, excessive absences (more than 10 days) are of great concern. A student with excessive absences is placed on attendance probation and may be required to repeat specific courses or the grade the following year, regardless of achievement and/or grades earned. We so enjoy the opportunity to teach and learn with your children and value every moment that we have to spend with them. We appreciate your help and support in limiting absences throughout the year. Special thanks to all those who supported the Show Your Love campaign. 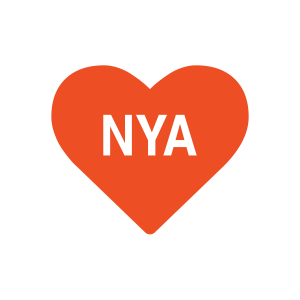 Together we exceeded our goal and successfully unlocked $30,000 for NYA. During the last two weeks of March, 522 individuals made gifts; contributing over $59,000 to NYA. We are deeply grateful for your generosity! The Sixth Grade Geography Expo will take place on Friday, April 12 from 12:00-2:00 p.m. in the Middle School Community Room. This year’s focus is the Middle East, and student work on this region will be on display. The highlight will be group presentations using several forms of technology, followed by a student-created Kahoot! game to test what the audience learned at the Geo Expo. A local restaurant will provide authentic Middle Eastern cuisine. We look forward to welcoming sixth grade families to this special event! All chorus students in grades 6-12 should be dropped off at Yarmouth Performing Arts Center (YPAC) at Yarmouth High School before 8:00 a.m. on Friday, April 19. Attendance will be called in from that location. Chorus students who walk or travel to school by bus should be at the Ice Arena parking lot by 7:50 a.m., and will travel to YPAC by NYA minibus. 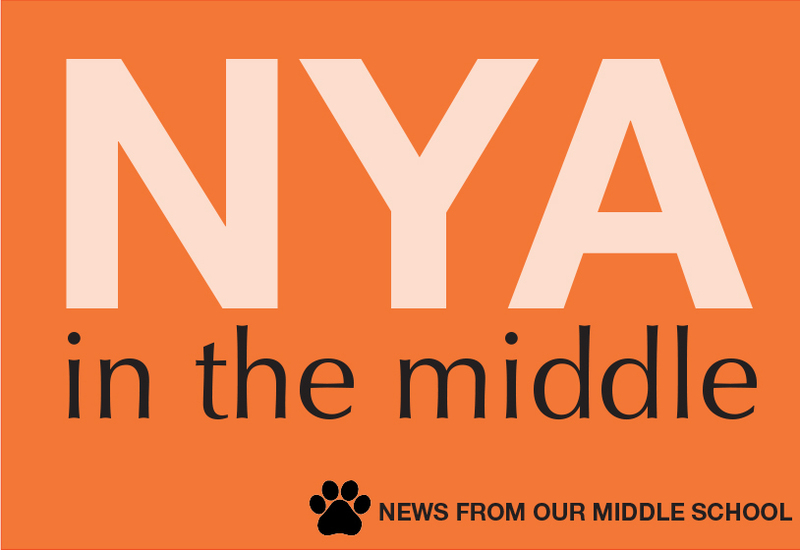 Middle School Chorus students will return to NYA by minibus at approximately 8:50 a.m.
Friday, April 19: Choral Concert, involving all choral groups grades 6-12. This concert will take place at the Yarmouth Performing Arts Center at Yarmouth High School. The concert starts at 6:30 p.m., and students should arrive no later than 5:30. Thursday, April 25: Instrumental Concert, featuring an array of NYA instrumental groups. The MS Band will perform at the concert, as will many of the US instrumental groups. This concert takes place in the NYA Gym, and starts at 6:30 p.m. MS band students should arrive no later than 6:00. Thursday, May 2: Fifth Grade Arts Night, featuring our entire fifth grade class! 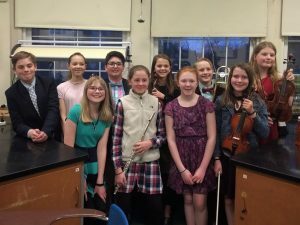 Fifth graders will take part in the Strings Concert on Tuesday, April 23, but will share their artistic, band, singing, and acting talents at the Fifth Grade Arts Night. See details below. *Dress for the three April concerts should adhere to NYA’s “dress up” dress code. Students should arrive dressed, fed, and ready to perform. The fifth grade will have their Arts Night on Thursday, May 2. The evening will begin at 5:00 p.m. with students and families enjoying a pizza dinner in the community room, followed by a showing of fifth grade Parade of States and artwork in the community room and around the Middle School building. Students then will present their band concert featuring small group, solo, and full band performances in the Higgins Black Box Theater. Next, the audience will be treated to the fifth graders’ singing and acting talents in their production of The Phantom Tollbooth. The evening will wrap up with dessert for all performers and audience members. Dress code for performers is their Tollbooth T-shirts and dress pants, khakis, or nice jeans. The Middle School will be having a spring dance and are pleased to invite the sixth graders to join in the fun. 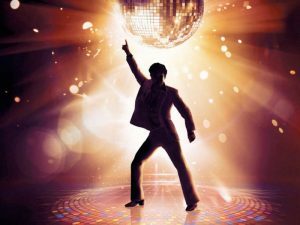 The dance will be Friday, May 3, from 6:00-8:00 p.m. in Safford. There will be a DJ, decorations, and refreshments! The cost is $5. This is the final Middle School dance for eighth graders and the first for sixth graders. We are looking forward to a fun and lively evening for all! Parents: Students and chaperones will remain in Safford for student pick-up. Please arrive by 8:00 p.m., park, and come into Safford (the cafeteria) to pick up your student. Also, please let us know (note, email, or phone call) if your child will be picked up by someone else. Thank you! Sophomore Alaina Rauf is organizing a book drive at NYA as part of a project to create mobile libraries for underprivileged children in the northern part of Pakistan. The project is called Aagahi, an Urdu word which means Awareness. Students can bring in books of any variety (old or new, picture books, children’s books, fiction, nonfiction, textbooks, etc.) for the book drive. Collection boxes labeled by grade are located under the Middle School sign-in table. Book donations should be put in the appropriate class box from now until May 1. The class with the most book donations will celebrate with a free Dress Down Day and special baked treats! I am thrilled to announce that next year, I will once again offer an educational program to Philadelphia and Washington, D.C. (June 15-20, 2020). The trip is open to students currently in sixth and seventh grade. Students have the opportunity to sign up for the trip now with the advantages of a discounted price and the option to spread out payments over a longer period of time. Certainly, if you cannot commit to the trip at this time, there will be opportunities in the fall to sign up. As they near the end of their Middle School careers and prepare for the increased freedom and accompanying responsibility of the Upper School, eighth graders have the opportunity to earn the privilege of signing out of study hall for the final weeks of the school year. We will meet with the eighth graders soon to discuss these upcoming privileges and to encourage them to demonstrate their leadership skills as the most senior student members of our Middle School community. Privileges go into effect on April 22. Students must sign out “face to face” with the study hall proctor and let them know where they will be instead of study hall – it must be on campus! Possibilities include Safford, the library, the Community Room, the quad, the gym, and the fields (the ice arena, tennis courts, locker rooms, and Upper School Student Lounge are off-limits). If students decide to move to another location, they must come back and tell the proctor. To have this privilege, students must be in good academic standing (i.e. up-to-date with all assignments, working to potential in each class, maintaining grades, etc.). There is a zero-strikes policy for this privilege (e.g. if a student should not inform the proctor where he or she will be, the privilege will be lost for the remainder of the year). The eighth graders are very excited to take advantage of this privilege! 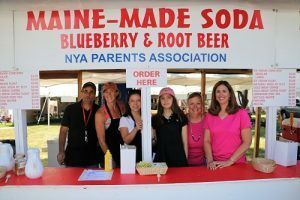 Have you ever been asked “What is NYA like?” Well, here’s the chance to show your friend just what it’s like to be an NYA student! Friday, April 12 is “Bring a Friend to School Day.” This is an opportunity for our current NYA students in grades five through twelve to invite friends from their sports teams, neighborhoods, summer camps, after-school programs, etc. to spend the day with them at NYA while many area schools will be starting their April break. Register a friend and find more information here. On Wednesday, May 8, the NYA Middle School will host Special Olympics of Maine for their Motor Activities Event. The Motor Activities are events for athletes with more severe limitations, including those who are wheelchair bound. After cheering on the Lower School in their hop-a-thon for the Muscular Dystrophy Association, the Middle School students and faculty will head to gym to greet Special Olympians from several chapters around the state. We will begin with a welcome parade, cheering on the participants and welcoming them to the event. With the help of Special Olympics coaches and volunteers, students will then run various specially-designed activities at stations around the arena. We will close with an awards ceremony where each participant will be presented with a medal. The Athlete Oath of the Special Olympics is “Let me win, but if I cannot win, let me be brave in the attempt.” This sentiment is most fitting for the philosophy of NYA as well. It has been our pleasure to partner with Special Olympics of Maine for well over a decade in sponsoring this wonderful event. You are cordially invited to the NYA Soirée on Friday, April 26, 2019 at Halo at the Point, Thompson’s Point. 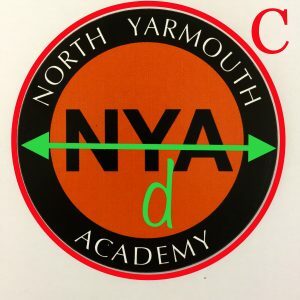 This will be a fun evening of camaraderie and support for NYA, including games and prizes, auction, dinner, a hosted bar, and live music by Wavelength! Learn more and RSVP at www.nya.org/soiree. We hope you will join us for this fun, engaging evening to support NYA. All are welcome and encouraged to attend. In mid May, students in grades five through eight will enjoy our annual spring field trips. Dress code is casual and neat. 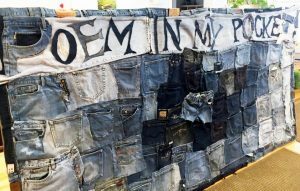 Students may wear jeans, knee-length shorts, t-shirts, etc. They should wear comfortable walking shoes and bring a jacket/fleece and raincoat/umbrella. Students should pack snacks and a water bottle. Fifth Grade is heading out for a lobstering trip on the Lucky Catch in Portland on Friday, May 17. Students should arrive at the Middle School by 8:00 a.m. and will be ready for pick-up at the Middle School by 2:00 p.m. Lunch at Flatbread Company in the Old Port will be provided. Students should bring money for a snack and dress for being out on the water. Sixth Grade will spend an active day exploring, learning, and gardening at a farm in North Yarmouth called Farm to Table Kids. 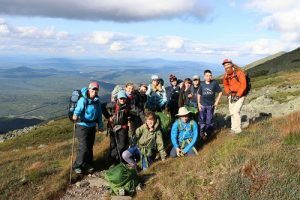 Students will also go on a short hike and enjoy an ice cream treat afterwards! On Friday, May 10, students should arrive at the Middle School by 8:00 a.m. and will be ready for pick-up at the Middle School by 2:00 p.m. They should bring a bag lunch and money for ice cream. Seventh Grade is traveling down to Boston to explore the Institute of Contemporary Art on Friday, May 10. Students should report to the NYA ice arena parking lot by 7:50 a.m. Please be sure to arrive on time! Students may choose to pack a lunch or bring money to purchase lunch from one of the food truck options in Dewey Square Park. After lunch, the group will head to Black Math commercial animation studio in Chinatown for a presentation by Jeremy Sahlman, Creative Director of Black Math and husband of Erika Sahlman. 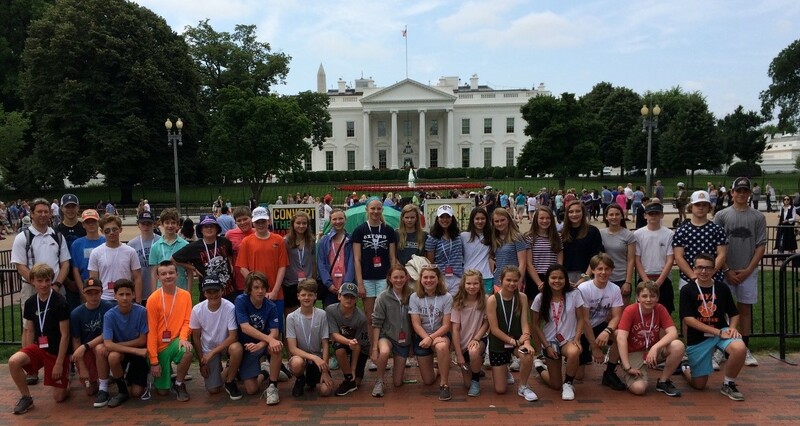 They will be ready for pick-up at the NYA ice arena parking lot by 5:00 p.m.
Eighth Grade is spending the day in Salem, Massachusetts where they will explore several sites related to their readings and studies in English and American History. On Friday, May 10, student should report to the NYA ice arena parking lot by 7:50 a.m. Please be sure to arrive on time! Student may choose to pack a lunch or bring money to buy lunch from one of the area restaurants, and may also wish to bring a little money for the gift shops or ice cream. They will be ready for pick-up at the NYA ice arena parking lot by 5:00 p.m. There will be no Middle School sports on the afternoon of Friday, May 10. In addition to the events listed below, there are many important dates to note at the end of May. Middle School Recognition will be on the evening of Wednesday, May 22. This event includes a concert, art show, numerous community awards, and presentation of eighth grade certificates. Middle School spring sports end on Thursday, May 23 and the Spring Athletic Celebration is on Friday, May 24 at 2:30 p.m. in the gym. Friday, May 24 is also our last day of classes for grades five through eight. The fifth grade schooner trip is May 28-29 and exams for grades six, seven, and eight will take place on May 28, 29, and 30. The eighth grade students will also have a special outing on Thursday, May 30. Our school year ends on Friday, May 31 with Awards and Fun Day. Mark your calendars now! 4/9 Mad Science Radical Robotics begins 3:15-4:15 p.m.
4/12 Sixth Grade Geography Expo, MSCR 12:00-2:00 p.m.
4/19 Chorus (grades 6-12) Rehearsal at YPAC 8:00 a.m.
4/23 Information Meeting for History Trip, Room 81 8:00 a.m.
4/24 Information Meeting for History Trip, Room 81 3:30 p.m.
4/26 NYA Soirée, Halo at the Point, Thompson’s Point, Portland 5:00 p.m.
5/2 Fifth Grade Arts Night, Higgins Hall 5:00 p.m.
5/3 Sixth, Seventh, & Eighth Grade Dance, Safford 6:00-8:00 p.m.
5/17 Grade 5 Field Trip 8:00 a.m.-2:00 p.m.